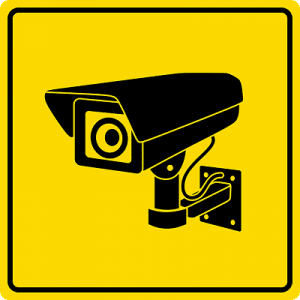 CCTV or closed circuit television is a network of monitors and video cameras that is set up to record images from around your home or business premises. You can store both still images as well as video footage of your property and its surroundings. The home CCTV Installation in Brisbane can alert you through a message to your phone or via email if an intrusion occurs into your property. There are also systems that automatically alert the authorities which can greatly reduce the response time of the police in arriving at the location and possibly catching the intruders in the act. There are numerous home CCTV systems available today with many using the best cameras available from suppliers such as Samsung or HIK Vision. If you require a home CCTV system installation in your Brisbane home then you can be assured we only use the finest products and the latest available in the technology that is constantly being refined to remain ahead of the criminals in crime prevention measures. Once a system has been installed you can share the monitoring with your partner and should you find yourselves out of town then family or friends can just as easily monitor your system while you are away. Access to your system can be easily shared and we will show you how during a full demonstration once the system has been installed. You can choose between a hard wired system or if you prefer a Wi-Fi or wireless CCTV system. The main reasons many people choose to install a CCTV system in their home can be simply as a precaution, to improve the general security of their home or to remotely monitor what is occurring inside or around their home. They may want to address certain issues that have occurred in the neighbourhood such as anti-social behavior or an increase locally in criminal activity or break-ins. Installing a CCTV system could be a way of increasing security within the neighbourhood or it could be a low cost but effective way to monitor or observe your children or pets. Whatever your reasons for having a system installed we can offer you a free quote, great after sales service and support to keep your system running smoothly and up to date. 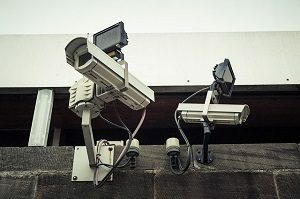 Having a CCTV system professionally installed allows you to have certification that is harder for insurers to wriggle out of making payouts should you have to make a claim. Professionally installed systems can point out any potential black spots or areas where the system is not covered. Avoid having constant false alarms through poorly installed units or by buying inadequate cameras where images are not clear. It is worth paying a little bit more for the advice and expertise of a professional installer and you can buy a good system from around AU$1000. The technology involved in CCTV systems is improving at a staggeringly fast rate and it has been predicted by experts in the industry that the advances of the next ten years will be of the equivalent advances made over the previous 50 years as AI, memory chips and smart phones continue to be used within the industries technological improvements. Home security is getting smarter and simpler with digital sensors recording images directly onto a computer using high pixel cameras resulting in very clear images. Do you need an Upgrade from your current CCTV System? You may have been using a home CCTV installation in Brisbane in your home but require an upgrade to meet the demands of insurance companies or to meet your personal security concerns. The image quality of older systems may not be sufficient in today’s technological world. If you cannot clearly identify cars or people through poor image quality then it is time to upgrade. Are your cameras positioned to cover every exit and entry point and do they give you a good view of the road? Can your system be easily bypassed or disabled? You should alter the camera positions regularly for good security against intruders. Criminals may cut your power and internet so it is important you have a system that includes battery back-up and a sim card that continues to record during power cuts. Many people have become complacent to the sound of alarms and will ignore a house alarm when it is sounding in their neighbourhood. If you order an upgrade through us we will use as much of your present system as is possible to keep the cost of the upgrade to a minimum. It is likely that all you need to upgrade is the quality of your cameras or their positioning to ensure there are no black spots in the coverage of your property. A Home CCTV installation in Brisbane to cover your home security is a wise investment and one in which we can give you our expertise and knowledge in getting the best system you need that is also within your budget.